We Want an End to the Glam­or­iza­tion of Neg­a­tiv­i­ty in the Media. We Want an End to Sta­tus Sym­bols Dic­tat­ing Our Worth As Indi­vid­u­als. We Want a Mean­ing­ful and Uni­ver­sal Edu­ca­tion Sys­tem. We Want Sub­stance in the Place of Pop­u­lar­i­ty. We Will Not Com­pro­mise Who We Are to Be Accept­ed by the Crowd. We Want the Invis­i­ble Walls That Sep­a­rate by Wealth, Race & Class to Be Torn Down. We Want to Think Our Own Thoughts. We Will Be Respon­si­ble for Our Envi­ron­ment. We Want Clar­i­ty & Truth from Our Elect­ed Offi­cials or They Should Move Aside. We Want Love Not Lies. We Want an End to All Wars. For­eign & Domes­tic (Vio­lence). We Want an End to the Processed Cul­ture of Exploita­tion, Over-Con­sump­tion & Waste. We Want Knowl­edge, Under­stand­ing & Peace. 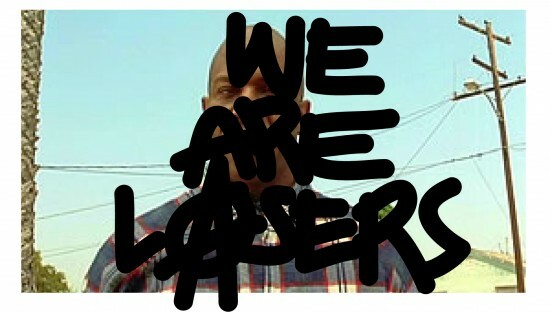 WE WILL NOT LOSE BECAUSE WE ARE NOT LOSERS, WE ARE LASERS!!! Lasers are the oppo­site of losers. Lasers are shin­ing beams of light that burn through the dark­ness of igno­rance. Lasers shed light on injus­tice and inequal­i­ty. Losers stand by and let things hap­pen. Lasers act and shape their own des­tinies. Lasers find mean­ing and direc­tion in the mys­ter­ies all around them. Lasers stand for love and com­pas­sion. Lasers stand for peace. Lasers stand for pro­gres­sion. Lasers are rev­o­lu­tion­ary. We’re Not Losers… We Are L.A.S.E.R.S.!!! Love Always Shines Every-time Remem­ber 2 Smile!